The bathroom is much more than the place where we make our needs. And it is here where we started the day, we managed to get an appointment, we brush our teeth, relax after a hard day’s work, we refresh or heat it under the tap … In short, it is a stay versatile that requires certain square meter. However, in many houses these are practically nonexistent, especially on floors of new construction. In fact, bathrooms are usually smaller and dark rooms of the houses. Decorating a small bathroom is complicated, but putting into practice the advice that we will offer you then you will achieve a comfortable, pleasant and even relaxing stay. And it must not be forgotten that this space is the place to find the necessary peace at the end of the day. Would you like to join us? As you know, beyond affect our mood, colors have much influence on the perception of space. Therefore, you cannot just pick them taking into account your tastes. So, the best in small rooms is to opt for bright colors, especially white, which is the one that helps expand the space visually. This color can be present in walls, toilets, furniture … Of course, so that the bath is not too cold or bored we recommend adding some brushstrokes in other tones. The bathrooms are rooms where should save a lot of utensils and potions, so you will have to do the right furniture. In small rooms the suspended pieces, which give visual range, plus furniture with shallow but very high, as they can be placed in any corner recommended. They are also highly recommended the mirrors with storage space. And, as we’ve said before, you should not forget that the furniture in light colors will help to expand the space visually, especially if they are lacquered finishes. We’d all like to have a large tub in which to lie down and enjoy the relaxation. However, in small bathrooms this is mission impossible. 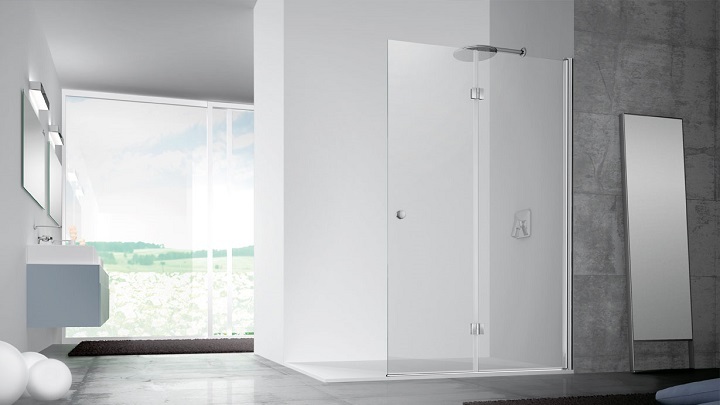 Thus, the only viable option is to opt for showers, which besides allowing you to save space, help you save water. Moreover, it is recommended that you choose a screen transparent to cover, preferably with minimal profiles. As for the taps, it is a good idea to pick them wardrobes. 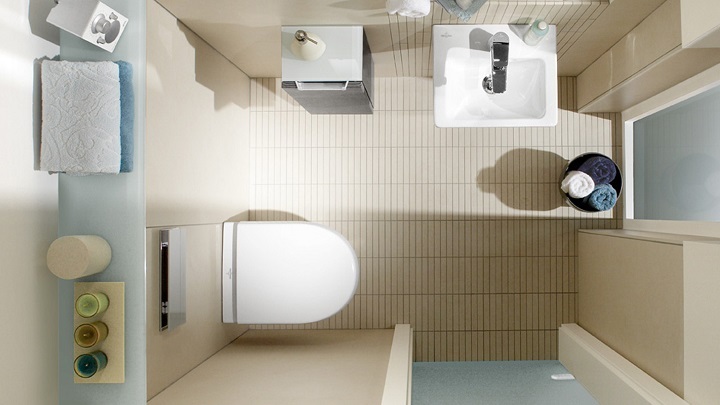 It can also be a good idea to opt for a suspended toilet. Of course, you must do without the bidet. 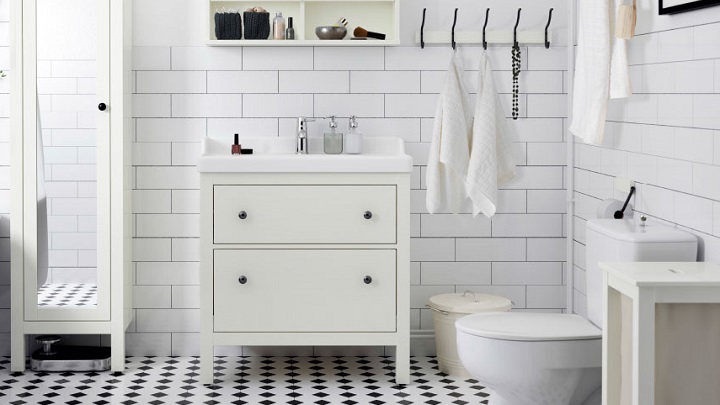 One of the keys to when decorating small bathrooms is to keep them in order to do this you not only need to have the right furniture, but need other accessories such as hooks, which can be placed behind the door; folding towel racks; baskets; cubes … It is also important to compartmentalize well storage systems. Finally, you should know that in small bathrooms mirrors can play an even more important than looking at us when we are fixing function. And these elements visually expand the space, and can enhance the brightness. Do not forget that light, especially the nature; it can also help us see the larger than they really are spaces, so you have to promote it to the fullest.